avast! Free Antivirus was voted the most popular Windows security application by readers of Lifehacker. Earlier this month we announced that avast! 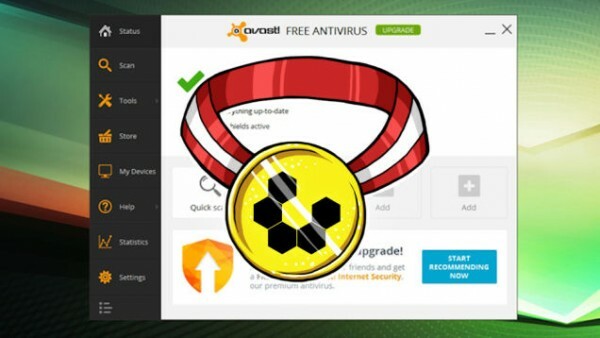 Free Antivirus was nominated by Lifehacker as the top antivirus solution for desktop computers. The results are here, and we are proud to share with you that Lifehacker readers picked avast! Free Antivirus as the most popular Windows AV solution. 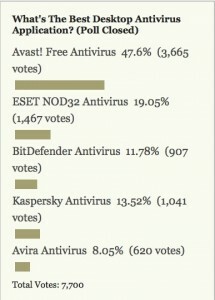 Nearly 50% of 7,700 participants proved that avast! Free Antivirus is a crowd favorite as the most trusted desktop security solution. a streamlined, easy to navigate interface and a plethora of on-access scanning and protection tools. It's still one of the top picks available, according to AV Comparitives and AV-Test, and performs well in antivirus tests. Avast offers an on-access antivirus scanner... and also features an on-demand scanner you can run at any time. It updates quietly in the background without fuss, and has a "silent" mode where you can disable any and all notifications and warnings to keep performance slim and trim. The app itself is relatively resource light—you may not even notice it's there. Best of all, it's completely free. A good antivirus tool doesn't have to cost a ton of money, and it doesn't have to drag your system down either. ~ wrote Alan Henry in his article. We would like to thank the readers of Lifehacker for your trust and voting for avast! Free Antivirus. If you don't have any antivirus solution, or you are considering a switch, do not hesitate! Install these avast! security products on your devices.